Snell & Rig Winding System, High visibility end caps, ribbed sections helps keep everything straight without tangles. Holds 12 rigs in any length easily and neatly via an wrap around shape chanels, each about 1/2" to accomodate larger baits. High density eva foam keeps hooks tight in place. Floats when drpped in water. Mitten design, easy on/off. One size fits most. Non absorbent soft flat poly mesh, stays clean and is more fish friendly. Belt clip for external hang on jacket, belt or vest. The New Shimano sport camera is a compact multi-sport called and some of its key features include photos and HD video. 2 hour battery life on a full charge. Up to 32GB Micro SD card support. It’s small with dimensions of 44 mm x 70 mm x 30 mm. 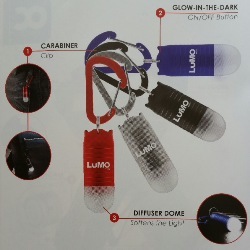 It’s light, weighing only 86 g. It’s also waterproof up to 10 meters. It utilizes WiFi and custom iOS and Android apps for mobile devices. Its also small enough for easy cap-mounting. The camera was made to take high-quality photos and HD videos of all your personal sport adventure. Born from the idea that there must be a better way to keep fishing rods organized and stop the tangled insanity. Available in 3 sizes for the sole fishing rod, multiple rods and or cargo on roof racks. The fishing butlers may be used for all kinds of things and that they are not just great for fishing rods. Use on paddles, oars, skis, ropes, extension cords, tools, rakes, shovels, rackets and many more ways to organize. use: #1 -single rod organizing, #2 multiple items/rods, #3 large bulky items etc. shipped in random colors. Offered in packs of 2pcs, 9piece Qty' packs or in assorted pack of 2 ties in each size /6pieces. Readings in Centigrade & Fahrenheit. Split ring attachment to zinger. Lightweight and waterproof. 3-1 multiple use tool. In addition to excellent temperature reading, it also has Indentations for waste line/tippet holder and is Magnetic for ‘lost fly’ catcher recovers flies from grass, pocket or other hard to locate areas. A non-toxic anti-freeze paste for lines and guides to help keep them from freezing ..deters ice build up on your line, even when temperatures are dipping below 0. It is safe for the environment as well as fly lines and rods. Ideal tool for winter steelheading. We recommend coating the bobber too..
Remington Sportsman series Fast Action Soft Touch- Large-Size Folder Knife. Mossy Oak / Blaze Orange Handle. Black finish coated 440 Stainless steel blade with serrated/straight combo edge. Blade length at 3 5/8". Handle is anodized aluminum scales with rubberized coating for a soft touch, includes pocket clip and lanyard hole. Closed length is 5" Model # 19767 A Quality Knife for all your outdoor fishing tasks. Fanny pack design, includes an adjustable heavy-duty belt and quick-release buckle to fit most anglers. Large fold down work surface to assist when rigging riverside laying down hooks, weights, fly boxes, accessories etc. Two unique hold & pull “Leader Management System” pockets(in purple). This nice pack is equipped with two primary large zippered compartments, and an assortment of additional slide-in hold or velcro closure pockets for storing floats, tools, and other necessary items needed riverside. Unique fly storage, tool rings, coil zinger for retractable accessory attachment. Includes 2 aluminum water bottles, with the benefit of using one of the bottles in the field and using this pocket for a nice spot to store your container of spawn bags or other organic bait. Weighs approximately 2.5lb, dimensions are at 12’’L x 4.5’’W x 8.5’’H. Robust design. Double the size and storage of our Micro Box below at twice the width and larger compartments. Fold down& locking double sided storage. Rounded edges for easy finger-removal of items. There are a total of 12 storage compartments with the largest compartment in the box adjustable to 2 -16 individual compartments for even more individual storage of small items. Ideal small and compact bead box for 6-10mm beads. Dimensions are at 4.3/4’’L x 4.0’’W x 1.1/4’’H. Designed and especially suited for the pack-light Steelheader on the move ...Small and compact for easy-use, equipped with 10 individually snap-shut compartments (5 per side) which also get locked down once box is latched closed keeping stored items double-secure and in place. Robustly built for rough terrain use, rounded inside-edge of compartments allows for easy removal of items with the tip of your fingers. Minimum take-up space in your vest or jacket, easy-organized storage & access to items when rigging streamside. "We tested this little box by stuffing it right up with hooks, split-shot, swivels, caps, snaps, float-tube and dropped it a few times on rocks and gravel and contents all stayed secure while the unit only suffered some minor scuff marks on the finish ” Great Product "
The Micro Clear Box ..same locking clam-fold design as our micro green above but with one large compartment on one side plus the 5 compartments on the other side for a total of 6 compartments. Robust, metal piano hinge, clear view, makes for easy selection of items. Its great for storage of longer items, like small pinkies, bead pegs,float tube and where longer space is required. This box can produce 4 to 24 adjustable compartments. There are 4 main sections running its length which are about 1 1/2" wide and 10 inches long. These long slots are Ideal for storing long balsa wood and plastic floats of any length for protection in your car and when moving them around. The box can hold quite a few floats, as shown, even the larger long slip floats or as extra storage of other tackle items. Box measures 11 in. long x 7.25 in. wide x 1.75 in. high. Comes in clear view for easy identification of items while latched.. This set of three small waterproof terminal accessory boxes keeps your tackle dry and safe. Each of the three boxes boasts a O-ring waterproof seal. Each set provides a one-compartment, four-compartment and six-compartment case. Approximate sizes of each is 3 3/4" X 2 1/4" x 3/4"
This small tackle box comes in handy! Measures 4 1/2” long & 3” wide by 11/4” high and fits in your vest or jacket pocket.. Available in a tough plastic construction, in green duraview (shown) or in clear view color. Double sided snap-shut lid with a total of 16 assorted-sized compartments. Stores small terminal tackle items like hooks, shot, swivels, caps and also works well storing yarnies or small flies, and keeping items organized for ease of use. This small device is an excellent way to store organic bait riverside and keep the mess away. It works nicely as its turned over to access the bait with ease, and then snaps back into place keeping the bait secure. Avoids accidental opening like other plastic containers and keeps the mess away from pockets. Mounts by pulling through a waist belt, compact size at 3.5" long X 2.0" wide X 2.25" high, holds about one dozen worms. Six feet long with braid poly rope. Pack light design, small and compact for the catch and release fisherman, which occasionally harvest a fish here and there. Easy to use. Nine feet long with eleven snap-hooks. Designed for positive locking. 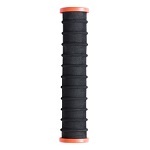 Nylon hooks will not rust or rot, Impossible for fish to open, nylon braid cord for longevity. Easy to use. Heavy Duty Braided Stringer, x-thick poly rope, with brass hardware for corrosion resistance, built to last. Available in choice 9ft or 15ft length. Robustly built, features a serrated cutting edge for easy non-slip cutting, stainless steel construction, oversized finger holes allows easy access and release. Centerpin Angling's Solid & Robust forcep/scissor. Rigid handles, all stainless steel construction. Both tools have a pin just above the jaw for hook clearing. Excellent performance for cutting spent spawn bags off the hook, hook set removal and other useful fishing tasks. Proven and tested in the field. Scissor/Forceps: Heavy-Duty ..Half smooth/serrated jaws, hook eye needle, rigid clamp. Measures only 5.5" long. Pin-on lanyard in chrome steel w/stainless wire extends to 18"-coated	cable	&	slide-locking clasp keeps accessories secure. stainless construction with hook eye clearing needle. Makes a good combo with the CAC spool retractor. Available separate or as a combo. This tool’s main purpose is to press and remove round (non-removable) lead, tin, bismuth, or tungsten types of split shot on or off the line with ease and precision. It comes in handy when setting up your rig and handling lead safely that other pliers can’t manage. Our pliers may also perform a variety of other light-duty tasks while fishing, able to make soft/hard cuts, gut-fish, remove fish hooks and more. We find this tool to be ideal for float-fishing and takes minimal space in the vest or jacket. "Excellent tool"
"We searched all over the word for the right tool for this job, and upon field testing this tool, it performed flawlessly test-after-test, even with cold & frosty hands splitting open even the smallest micro split shot from .04g to the larger 1.5g plus sizes without ever damaging the leader line or the split shot's round shape for re-use of the split shot." Available with optional heavy-duty 24" extend stainless steel pin-on reel ...avoids accidental loss in the water. When bottom fishing at night, the Starlite CLIPLIGHTS are the ultimate solution. They clip directly to the rod tip, without any tape or fidgety attachments. Superb for pier fishing slip sinker rigs during the salmon and steelhead runs - no more missing hits in the dark! Nature Escape clip-on cap light. Clips on the brim of any cap. Ultra bright 5 LED which last up to 100,000 hours. Unit operates on 2-#2032 3 volt batteries (included) Low profile. Ideal for night fishing. 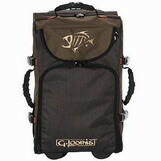 G.Loomis travel bags offer excellent quality and features as expected in G. Loomis gear.